Learning to fight well and repair with skill is a fundamental undertaking in science-based couples therapy. When Gottman Institute researchers studied repair attempts, they noticed that repair attempts made during marital fights tended to be either “cognitive” or “emotional” repairs. Cognitive repair attempts focused on problem-solving and friendly persuasion. They are solution-oriented and problem-focused. These repairs try to get the fight out of squishy emotional considerations and “back on track” to move forward to firmly resolving the source of the conflict. This is a typically male perspective. Logical. Dispassionate….and deeply flawed. Emotional repairs, on the other hand, involve the speaker taking responsibility for their contribution to the problem. Emotional repair attempts are rich and complex. They may include elements of humor, self-disclosure, story-telling, humility, and empathetic connection. And Empathy is the key to marital satisfaction. Also, note that emotional repairs are far more successful and land more effectively than cognitive repairs. Gottman reminds us that conflict is a natural part of intimacy. And repair is the path to deeper intimacy and mutual understanding. Conflict can be good. Well managed conflict can lead to deeper understanding and empathy. Gottman also tells us that misattunements are inevitable. Couples are not always at their best at the same time. All relationships have regrettable incidents, hurt feelings, resulting in physiological arousal. It is through the ability to repair early and often that a couple learns to understand how the fight got started, what hidden triggers and enduring vulnerabilities were aroused. Gottman’s research shows that without the specific skill-building that couples learn in science-based couples therapy, most couples are completely unable to effectively repair. Without these skills, we tend to deny responsibility for even a part of the problem early enough in the conflict to affect the outcome. Reactivity and defensiveness are reflexively automatic. This leads to escalation which dilutes the effectiveness of later repair attempts. 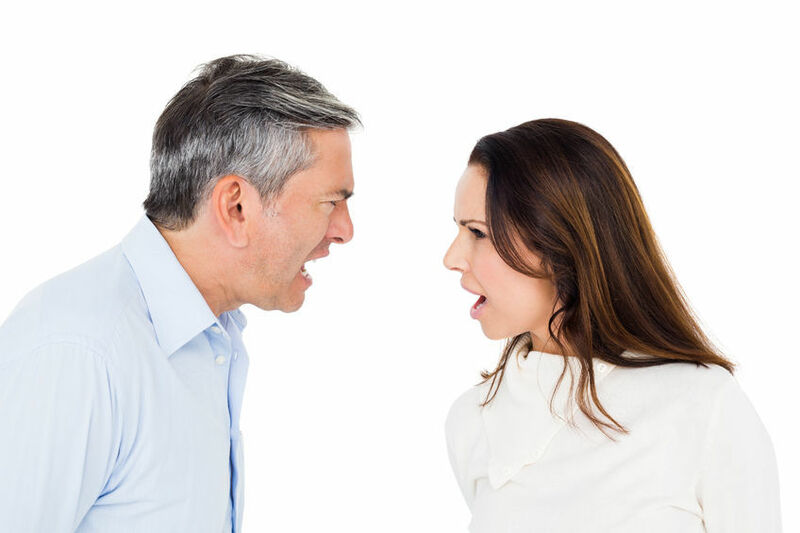 Marital conflict occurs in an emotional context. Robert Weiss described the context in his 1980 research as a couple’s Sentiment Override. In that same year, psychologists Robinson and Price discovered that couples in Negative Sentiment Override miss half of the positive remarks from their partner that were noted by objective researchers observing the interaction. And what is Sentiment Override? It is simply the accumulated experience of a marital friendship system. It is either positive or negative. Failure builds upon failure, interaction by failed interaction. Every negative unresolved interaction adds to negative sentiment override, and it takes a 5 to 1 effort to outweigh this burgeoning negativity. In order for repair attempts to be effective, both spouses must rebuild their friendship system and manage conflict so that is is more constructive than destructive. According to Gottman, a couple’s Sentiment Override is the only factor which controls the effectiveness of repair attempts. Negative Sentiment Override eventually persuades us that our partner is not our friend. They have become instead, an enduring adversary. These lead to harsh start-ups, high inertia, and what Gottman calls an “absorbing negative state.” Think of it as a roach motel for love. And what controls what kind of Sentiment Override we enjoy in our intimate lives? There are two factors; the quality of our marital friendship, and the volume of negativity which result in an “absorbing negative state.” The roach motel effect. Couples check into extreme negativity…then they find that they can’t check out. Accepting responsibility for at least part of the problem is a powerful way to pry ourselves out of the roach motel of negativity. Research tells us that this works both ways, but is particularly effective when a wife says to her husband; “Look, I know this problem isn’t all your doing. I have a role in this problem as well.” Our old friends, empathy, understanding, openness, and self-disclosure are the key components of authentic repair attempts. Capacity to repair is another matter. There are two factors related to capacity. Partners with a history of being well-treated in their families of origin, especially by their parents, have a deeper well of grace to draw upon. Research tells us that the more loving caregivers we’ve had in our childhood, the greater our innate capacity to repair early and often. The other factor is how well you have been treated in your marriage. The higher your abiding fondness and admiration for your partner, the easier it will be for you to repair. So obviously, a bad parental hand resulting in Intimacy Avoidance, Passive-Aggression, or Developmental Trauma will impair one’s native ability to repair with skill. But science-based couple’s therapy can help soothe these old childhood wounds and teach couples how to achieve love at first fight and begin to effectively repair and self-regulate despite a learned tendency to do otherwise. Learn to Repair with Your Partner In A Science-Based Intensive Marriage Retreat.